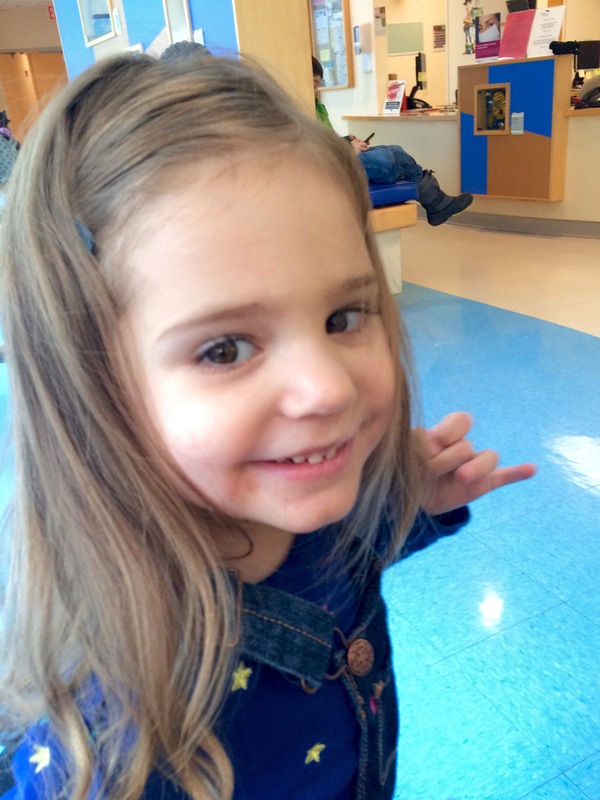 Lily is a very sweet four-year-old girl who is learning to use an alternative means of communication due to her severe motor planning challenges. Lily is not able to use speech or her hands as a functional means of communication. Lily is using a high tech communication device (Tobii I-12 series device + eye gaze access) and a low tech communication book with partner assisted access (PODD communication books). Lily is starting to develop her underlying communication skills (i.e. joint attention skills, alternating attention skills, eye contact, imitation skills both verbal and physical). Lily continues to rely primarily on her caregivers anticipation of what she needs but she has been starting to imitate models of how she can request needs independently on her SGD. Lily’s behaviors have significantly improved. She is much more regulated throughout sessions and does not rely on music as a form of comfort to soothe her when she is upset. Lily is starting to participate more consistently during session activities and she can sit and attend for longer periods of time, 10-15 minutes without a break. Through direct observation throughout our sessions Lily has demonstrated the ability to identify objects, discriminate objects from a field of up to 12 symbols per page, identify caregivers, greet “hi”, reject activities “no” , “finish”, request more of an activity, identify animals. Lily has been able to initiate and carry out her responses to verbal directions much more consistently. Lily has been able to follow the directions: “Stand”, “Sit”, “Open”, “look at me”, “let’s go to the kitchen”, “take the spoon” and “wave goodbye”. Lily is currently able to follow verbal directions 3/10 times on average each session. It is important to note that Lily’s difficulties with carrying out directions are due to motor planning difficulties not because she cannot understand what is being asked of her. We still have a ways to go, but I’m confident that my kid is going to blow everyone away with her brilliance one day soon. A few weeks ago, I was interviewed by a NYTimes reporter about the steps I’ve taken to prepare for Lily’s financial future. 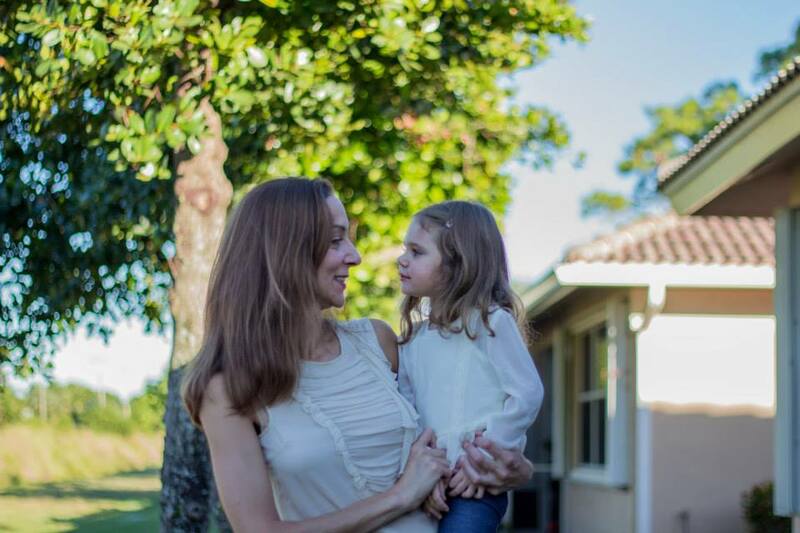 A few days later, a NYTimes photographer came over to take photos of me and L.
My ask of this reporter was this: I will share my story with you, but you have to help me raise awareness about Rett Syndrome. She kept her promise. And, if you click on the below link, you can see how upset Lily gets when her OT Katherine is working with her in one of the pictures. My sweetie! Last night I participated in Lily’s occupational therapy session with the amazing Katherine. Katherine tends to have a difficult time with Lily as she doesn’t come until the end of the day (sometimes not arriving until 8pm) and Lily is tired, and done with therapy (she likely had at least 4 hours of it earlier in the day). So I help when I can. Sometimes I’m too distracting. But last night wasn’t one of those evenings. We worked the entire session around reading two of Lily’s favorite books – ‘Pete the Cat’ and ‘Don’t let the pigeon drive the bus’. Yes, she still loves the pigeon book. When I read to her, I try to make it as interactive as possible – asking her to turn the page, point to the pigeon, say ‘bye’, or ‘no’ at the appropriate times, etc… So I do push her. A bit. Well, last night with Katherine, I was completely blown away. Katherine helped me ‘push’ Lily a bit further and the things Lily was able to do was incredible. Not only was she able to correctly point to the pigeon (who she desperately wants to drive the bus, by the way), but the bus driver AND the bus. She knew ALL of them. Whereas previously I was only asking her to pinpoint one object, I learned that she can easily differentiate among the three objects on the page. Also, Katherine was able to get Lily to do some fantastically complicated physical feats by motivating her to turn the page. She seamlessly and independently went from laying on her back, to sitting up, leaning forward, crawling to the book on all 4s and then reaching her hand out to turn the page (while balancing on her hand and knees). I presume she understands more than we think and can do a lot. But I realize that even I have been underestimating her abilities. No longer kid. No longer! “Know that people with Rett are communicating with you all of the time. It’s in when she looks at you, or doesn’t, it’s the length of her gaze, the shift of her gaze, in how wide her eyes get, in the eyebrows; it’s in the frequency or intensity of her stereotypie at any given moment, its in the moments she stops… Look and you will hear.” Denise R., Lily’s special ed at-home teacher. I wanted to check in with you because a few things have been going on with Lily lately. And I think we may need to schedule an EEG to have her monitored. 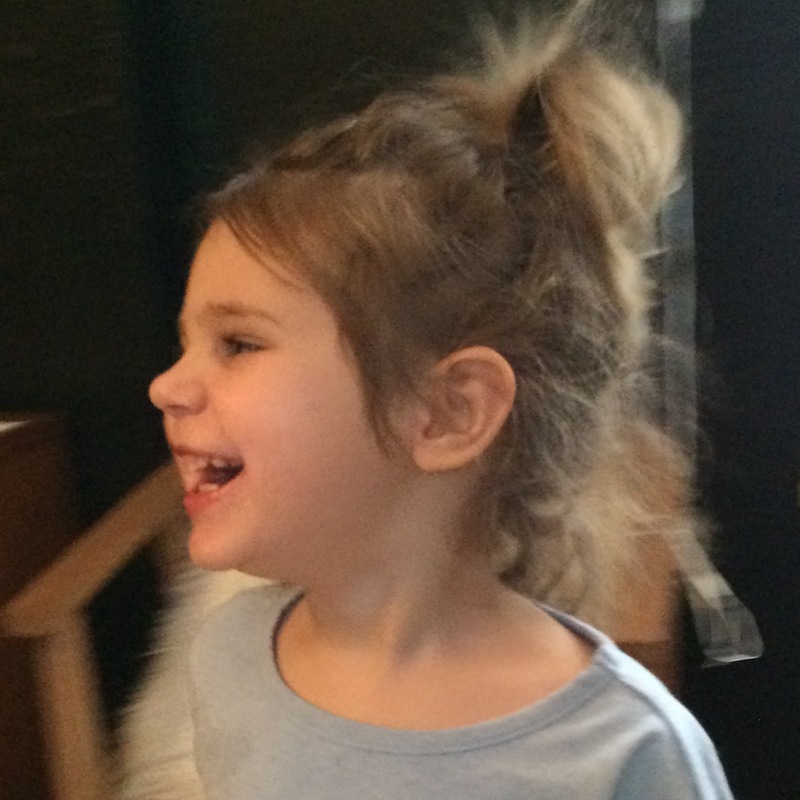 Two weeks ago she had what I would describe as three Rett episodes in a row. She was present but shaking and frozen uncontrollably, at the same time. If that makes sense. Last week I believe she had two seizures and they were very close to each other in timing. These look different from the Rett episodes in that Lily wasn’t as present and she was foaming and spitting at the mouth a bit. But if knowing all of the above means to know this kid, then I am in 100%. The Program Director at Rett Syndrome Research Trust reached out to me earlier this week to get my thoughts on ‘things I wish I knew the day my daughter was diagnosed’ and I’ve been mulling it over in my head ever since. What do I wish I knew on that fateful day? I wish I knew that Rett Syndrome is a spectrum disorder. The way that it manifests in every girl is different. Some girls walk, some girls talk, some have meaningful hand use. Unfortunately, many do not. BUT one things comes across as very clear for all girls with Rett Syndrome: they are magical, beautiful, funny, and quirky. People – both young and old – are drawn to them. And most girls are highly intelligent so intellectually, the sky’s the limit. Bottom line: Never underestimate the potential for your daughter. I wish I knew that even though my spirit may be broken at this moment, my daughter’s most definitely is not. My kid is a fighter, a warrior, a princess. And she’s still the same sweet angel she was the day before. Falling into a pit of despair is not an option. And taking your cue from your kid about having a positive attitude is the way to go. Bottom line: Though you will have your ups and downs, always go back to staying positive. And if you need inspiration, just look at your beautiful child and feel the love they radiate. I wish I knew that asking for help doesn’t make you weak. I’m a very independent person and I still struggle with this one. But what I’ve learned is that you need to take people with you on this journey of yours. Get yourself a strong network of friends, supporters, advocates. If they’re not comfortable with your kids diagnosis, they’re not worth having around. It’s easy to insulate yourself from the rest of the world. But that does you, and your kid no good. I take Lily out to restaurants, grocery shopping, walks around the neighborhood. And I’ve built up relationships with the managers, wait-staff of our regular haunts, neighbors to let them know that even though my sweet kid has a hard time with her hands and words, that she understands everything and wants to participate. I raise awareness about Rett Syndrome and I also ask them to help me ensure that my kid is comfortable, and included. Bottom line: Ensure you and your daughter have a strong support network. Even a year in, I still have so many questions. The uncertainty of the future can be crippling if I focus on the potential negative outcomes. So I do my best to stay focused on the present. And ensure that I’m prepared for whatever may come (case in point, I’m working with a special needs estate planner to get my Will, etc… in order).